This week's top news is Apple's "Repair Extension Program" for 15" PowerBook G4s, something we covered three weeks ago. Only 1.5 GHz and 1.67 GHz models produced between January and April 2005 are included although sources "suspect it is probably as a 'known issue' in all of their 15" G4 PowerBook Models." MacBook Pro: What's in a Name? Apple has announced a PowerBook G4 (15-inch 1.67/1.5 GHz) Memory Slot Repair Extension Program - a worldwide program covering repair or replacement of the memory slot in PowerBook G4 models manufactured between January 2005 and April 2005 (2005-01 through 2005-04) that are experiencing specific component failures. If your PowerBook G4 has a serial number within the eligible range and is experiencing any of the symptoms listed below, it may be eligible for repair, free of charge. Apple or an Apple Authorized Service Provider (AASP) will determine eligibility under the program. Repairs will be covered by Apple for up to two years from the original date of purchase even if your computer is out of warranty. The computer does not start up; instead, there are three short beeps (typically) followed by the the sleep LED flashing periodically. When both SO-DIMM memory slots are filled (populated), only one slot's memory is recognized. System performance may be degraded because the memory in only one slot is not recognized. These symptoms may only occur intermittently. If your PowerBook G4 (15-inch 1.67GHz/1.5GHZ) is not experiencing any of these symptoms, you do not have to contact Apple or any Apple Authorized Service Provider. You can disregard this article. To participate in the program, call your local Apple contact center (1-800-275-2273 in the United States), or bring your PowerBook G4 (15-inch 1.67/1.5GHz) to the Mac Genius Bar at your local Apple Retail store or Apple Authorized Service Provider (AASP). If you are located outside the U.S., please see Apple's international contact list for your local Apple Technical Support phone number. The program covers affected PowerBook G4 (15-inch 1.67/1.5GHz) computers for up to two years from the original date of purchase. Apple will continue to evaluate the repair data and will provide further repair extensions as needed. "Apple Computer will likely run into shortages of its first Intel-based laptop when the machine debuts next month, company executives said as they laid out the Mac contribution to its most profitable quarter ever. "'We may not be able to meet the demand on the MacBook Pro,' said Tim Cook, Apple's chief operating officer, in a telephone briefing to analysts and reporters. 'The limited number of weeks to ship [the MacBook Pro] in the second quarter, and the very strong response we've gotten means we may not be able to meet demand.'" "The PowerBook name worked on so many levels. The word 'Power' really worked because it portrayed serious computing power that could be harnessed while on the run and away from the typical desk. The word 'Power' associated with 'Book' help to differentiate itself from the herd of other lame laptops out there. And from a marketing perspective, it just worked." Link: MacBook Pro... What's in a Name? "Then yesterday, Chris pops up on iChat to let me know that a PO had been put in for me to get a MacBook Pro. Imagine that! Cool! I was so happy about that that I forgot to look at the specs he sent me, and I guess I could go dig through my iChat logs and see, but really, who cares . . . I'm getting a new Mac. Well, okay, not right now, but sometime next month, a new box will arrive here at my 'home/office' in Portland, Oregon, and I'll soon be driving one of the new Intel-based Power . . . er . . . MacBook Pros." "...Most folks don't like buying 'Rev. A' models, but I don't think it's as much of an issue as it used to be. Apple always used to want to hold something back until the second revision so they could get that secondary sales bump down the road, but what the heck are they holding back at this point? I'd say they've thrown in the kitchen sink this time. This thing's a multimedia iMac with a flip-top head." "The world's eyes may be looking ahead toward the imminent arrival of the MacBook Pro laptops, but many recent PowerBook G4 buyers are still wondering when and if Apple ever plans to fix a serious flaw in its final generation of G4 laptops. "The annoying PowerBook audio-echo problem persists. I was hoping Mac OS X 10.4.4 would address it, but it didn't. "I poked around on Apple's support discussion boards, and found some lively conversation on the topic. One user even posted a recording of what the echo sounds like. "In that discussion thread, I found what appears to be Apple's 'fix' for the problem: running only one 'audio application' at a time." "If your PowerBook G4's 65 W AC power adapter seems not to work anymore (the charge indicator light does not stay on and the battery does not charge) you may want to check a few things. "65 W AC power adapters first shipped with the 15-inch PowerBook G4 (1 GHz/867 MHz) and the PowerBook G4 (17-inch). If you have one of these or a later model aluminium 15-inch or 17-inch PowerBook G4, you probably have a 65-watt power adapter." MacStyles are custom-cut vinyl decals for iBooks & PowerBooks. They can be made in a variety designs (also known to followers as "voices") and are crafted from a selection of 21 colors. Eleven new colors are being offered as of January 20th, and they will prove to be an anticipated expansion. Along with the addition of MacPads and MacStyles Pro, the company is working on a line of decals for iPods, appropriately called "PodStyles". Also in the works is an extended line of accent decals known as "Maccents". "MacStyles were created to mask the easily scratched plastic surface of iBooks. It only seemed logical to expand the line to include PowerBooks and iPods," said Scott Rafferty, MacStyles" president. 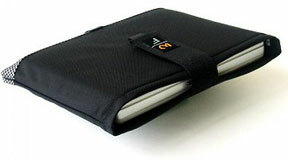 "We offer an inexpensive way to revitalize your tired notebook in a major way. With over 80 designs they not only enhance your computer, they personalize it. That"s what MacStyles is all about protection and personalization." The company plans on continually adding new voices and colors. MacStyles and MacPads are set to sell at $19.95 and $4.95 respectively. All MacStyle add-ons - such as custom monogramming and Maccents are $4.95 as well. A premium line is also said to be in the works. "The premium line will really take MacStyles to a new level; we expect that new vinyl types like carbon fiber, brushed chrome, ultra-metallic and "shade-shifter" - whose color changes depending on the viewing angle - are going to be in high demand." Prices on this line have not been disclosed as of yet, and no release date has been reported, but the company hopes to begin offering them in the first quarter of 2006. MacStyles can be viewed, customized, and ordered online. PR: TechRestore, Inc. have announced that they have begun offering a 160 GB upgrade as part of their overnight hard drive upgrade service for PowerBooks, iBooks, and PC Laptops. The new upgrade features the first 160 Gigabyte drive upgrade available for laptop users. The service includes overnight pickup of the customers laptop from any location in the continental United States, installation of the new drive with data transfer within 24-hours and return overnight shipping back to the customers location. In addition, the customers old hard drive is returned so that they will have a backup of their data. The customer can choose to have their old hard drive installed in a portable case for only $19.99. The 160 GB overnight upgrade is $489 including the drive, all shipping costs and installation. The upgrade includes a 1-year warranty from TechRestore and a 5-year warranty on the hard drive from the manufacturer. The service is available immediately. PR: The MacBook SleeveCase is now available from Warterfield Designs, designated Size #25. What do you get when you wrap your laptop in a neoprene and ballistic shell? A nearly bullet-proof SleeveCase that holds its own - in or out of a bag. And if that weren't enough, it's designed for one-hand access. coconutBattery is a tool that reads out the data of your notebook-battery (iBook/PowerBook). It gives you live feedback, what's going on in your battery (not only a snapshot like other tools). It shows the current charge of your battery as well as the current maximum capacity related to its original. If coconutBattery detects that you have connected the wrong charger (i.e. an ibook-charger plugged in a PowerBook) it will warn you! That's a cool feature! Of course you are able to save the current maximum capacity of your battery - with just one click! coconutBattery uses Apple's new and really powerful technology named "CoreData" to realize that. Finally coconutBattery calculates the age of your Mac exactly! So you can derive the age of your battery. And last but not least: coconutBattery is Universal Binary (you can run it on Intel-Macs! - cool!) and it is complete localizable! Many localizations are ready to start but still need some bugfixes. If you want to help translating coconutBattery to your language, just write me an email - but you should wait these few days until I know what localizations needs a update. By the way: The really really cool and absolutely coconut-flavoured icon was created by http://www.afterglow.ie - really good job! Check out the webpage. completely rewritten, added a dashboard widget, preferences menu for custom values and much much more!